Christians across the world are divided about the Apocrypha, a set of books written during the intertestamental period (between old and new testaments). It is a bone of contention with many denominations rejecting it. However its accepted by The Catholic Church and a few other mainline churches. Here is to understanding what the Apocrypha is. While its not Scripture as the Word of God, its definitely worth reading to understand History. 1. Apocrypha comes from the Greek apokryphos (obscure) or Latin apocryphus (secret or non canonical). 2. 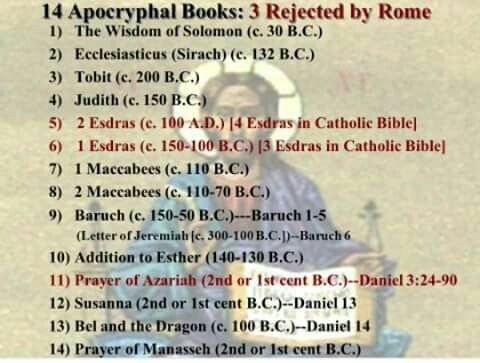 The biblical apocrypha is considered to be books with good moral values to be read to understand history as well, and written by men esteemed for their knowledge of Scripture, though not on par with Scripture. 3. Apocrypha are included in the Vulgate and Septuagint, but not in the Hebrew Bible. 4. These books are often seen as “intertestamental” because reading them helps explain the theological and cultural transitions which took place between the Old and New Testaments. 5. 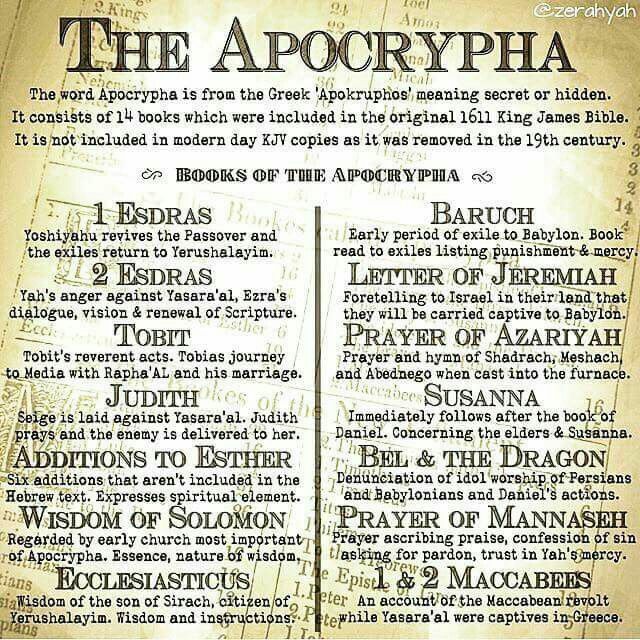 The biblical apocrypha is a collection of books found in some editions of the Christian Bibles. These are usually found between the Old Testament and the New Testament. 6. It was first published as an intertestamental section by Martin Luther in his Bible in 1534. The seven books published as intertestamental literature is considered by Catholics as Old Testament Canon. 7. The Lutheran and Anglican Church make reference to the apocrypha, in their lectionary. So do the Methodist and Moravians, who also include alternate Scripture readings. 8.The English and Foreign Bible society decided not to print the apocrypha in their Bibles. 9. The apocrypha is gaining back its popularity and many Bibles currently include the apocrypha as intertestamental literature. A hosptial built on faith that serves the Gospel to people in Peru. Proof for Harvard Doctor that God is real.